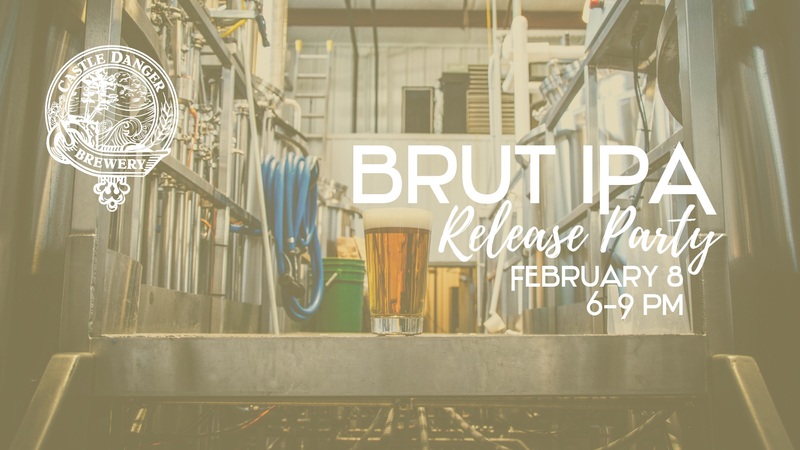 Introducing the second Taproom Series beer of 2019, Brut IPA! Brut IPA is a very special brew. Borrowing its name from the wine world – brut means very dry – this beer boasts a very dry and crisp finish. We use Pilsen Malt, Sauvignon Blanc grapes, and New Zealand hops to provide a unique fruity aroma and gentle bitterness while keeping the beer light in body and color. Hints of green grape and melon add depth to the flavors you get in a traditional IPA, making this unique brew one to try. We will be tapping this beer AT 6 pm on the 8th and not a minute before. What you can look forward to: an introduction to Brut IPA by one of our brewers at 6 pm, live music by John Cron starting at 7 pm, hourly prize drawings, multiple infusions of Brut IPA, and a local restaurant pop-up shop. *The first 24 people to order a Brut IPA will get a free Team Danger pint glass. * We’re also offering $1 off pints and discounted growlers of Brut IPA during the party. The first drawing will be at 7 pm and will go every hour until 9 pm – must purchase a pint of Brut IPA to enter the drawing, and must be present to win. Mark your calendars! !